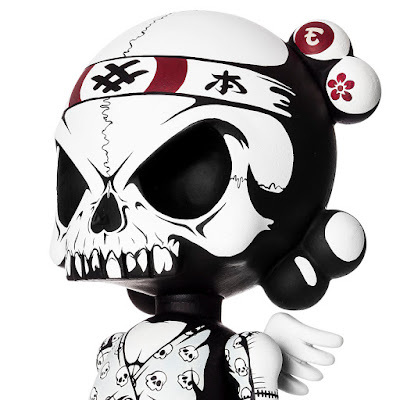 New goods were recently added to the online store of Scribe and Alisa 40 Threads Ross. 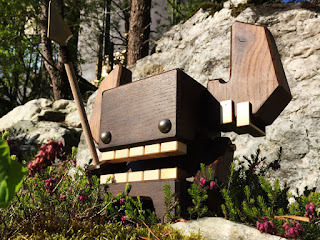 Everything from Scribe designed greeting cards, to the latest production Rumpus figures. Alisa has been hard at work sewing a bunch of cute plush wall mounts, Octopus and pillows. 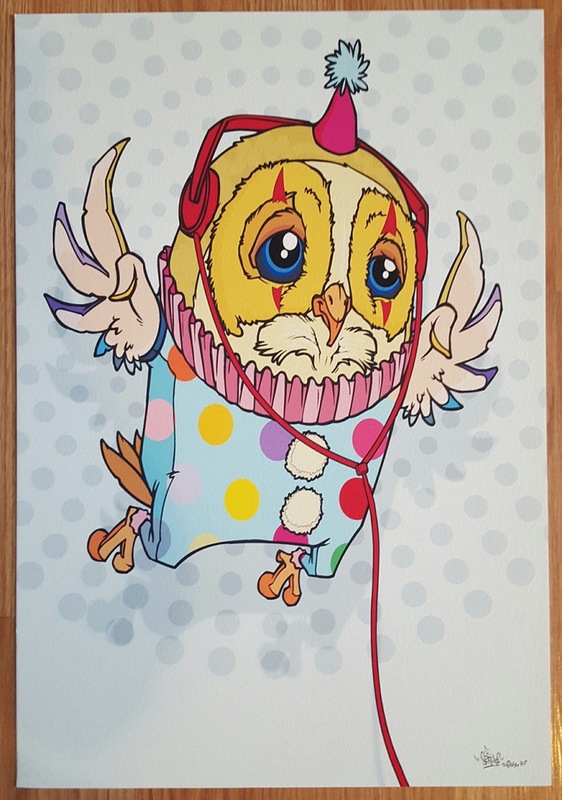 There are also some Party Owl prints in various colors, as well as a Meadowlark AP print up for grabs. Prices for everything that is currently available is sub $60 plus shipping. For more info, be sure to head on over to the Scribeswalk + 40threads online store and check out all of the goods, both sold out and available. 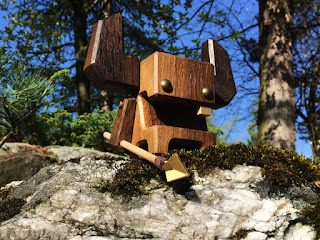 Finding it's way to it's rightful owner recently is one of Jon-Paul Kaiser's latest commissioned pieces, this time using a Huck Gee Blank figure. Ronin Blank is a handpainted custom blank showing a steadfast samurai adhering to his life as a loyal servant. Complete with a steal Katana, Jon-Paul utilized his minimalistic color approach to bring life to this lonely Ronin. Wonderful photos were captured by photographer Justin Allfree. With this private commission delivered, it's only a matter of time until Jon-Paul's next creation makes an appearance. 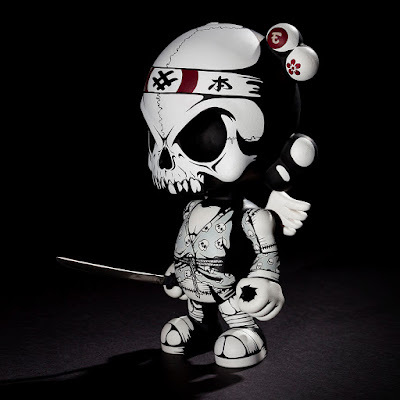 It will be interesting to see if JPK gets a crack at the Clear version of the Blank Skullhead. Be sure to follow Jon-Paul on social media sites to stay up to date with all of JPK's latest creations. We've assembled an assortment of awesome toys and collectibles which we are turning into grab bags! Tenacious Grab Bags are GUARANTEED to contain items worth more than the price of the Grab Bag. 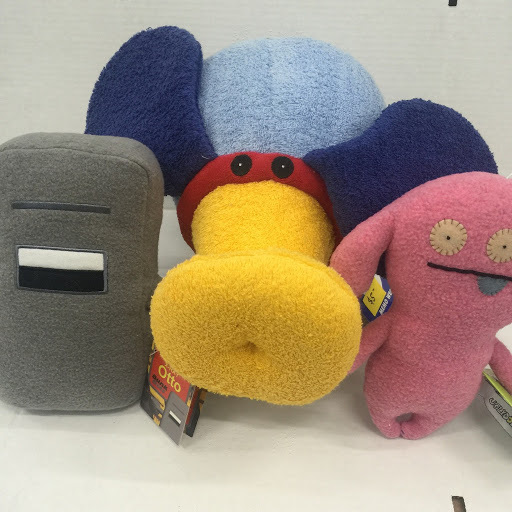 Here we have a $20 Plush Grab Bag containing 3 plush items. You could get: Uglydolls, Hello Kitty, Somewhere City, Bunk Bots, Giant Microbes, Domo, Gloomy Bear, or other plushes. You won't be sure what you get... til you open the box! Each Grab Bag is hand-picked by Benny to create an experience that's worthwhile. They make great gifts for those hard-to-shop-for people in your life. We have 5 of these $20-level Plush Grab Bags available. In general, when making up these assortments, we included 1 larger plush (approx 8") and two smaller plushes (approx 4-5") in each Grab Bag. No returns, refunds or substitutions on Grab Bags - it is what it is! While we guarantee the value, we offer NO GUARANTEES that you will get the exact items pictured. Pictured here are 2 of the 5 bags - each is different. Order Tenacious Toys $20 Plush Grab Bag today! Loving this Desktop Shipping Container by TYO Toys on Kickstarter! Backed It! 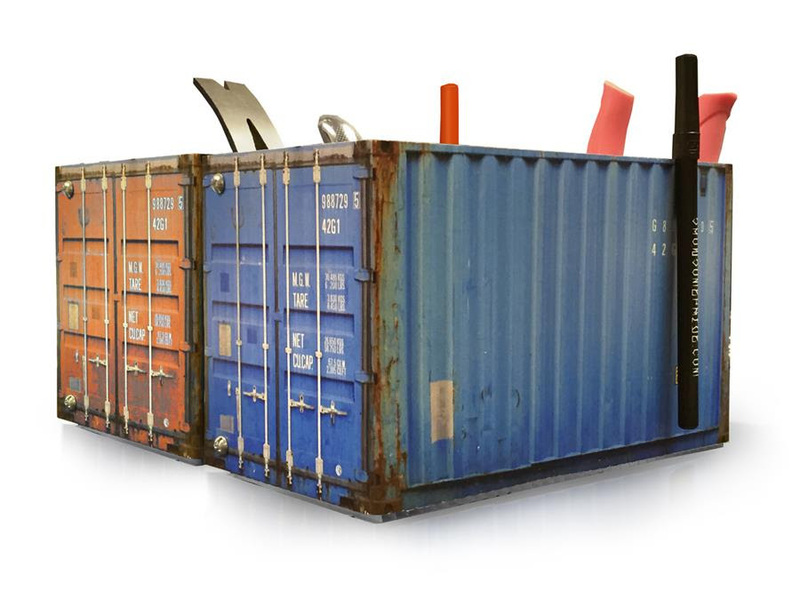 LITERALLY the PERFECT object for my desk as one of the things I do is manage shipping containers and logistics. Plus my desk is a mess. LOVE. 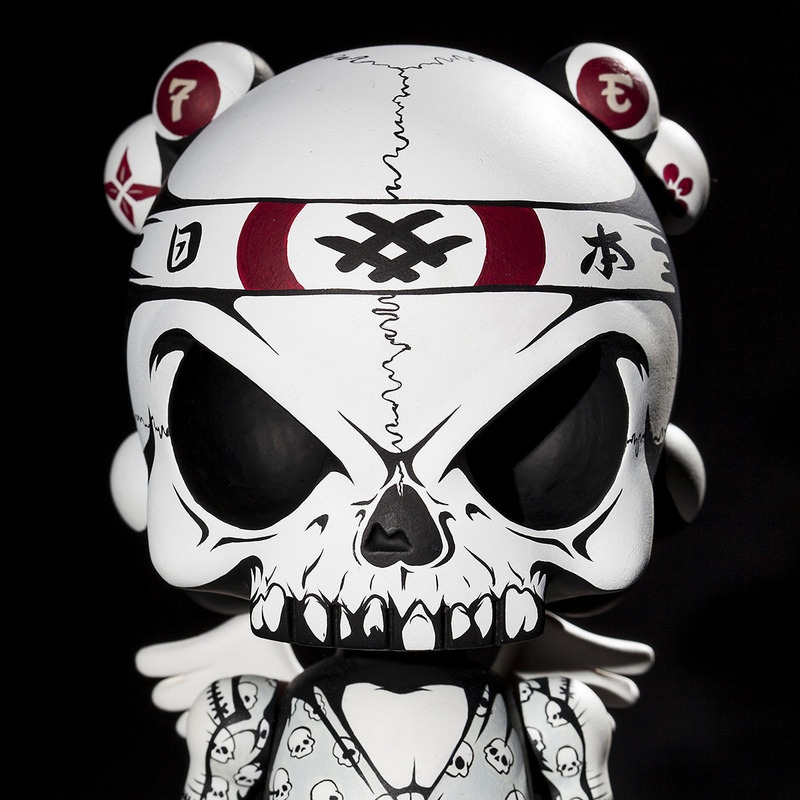 Another rad project from Phil Foss aka TYO Toys. GET YOUR OWN DESKTOP CONTAINER! CLICK HERE TO LISTEN! Adventures in Design Podcast site is here. The Collection is back and this time Huck Gee and Mark Brickey bring you a man who was part of the new school even during the heyday of the old school. 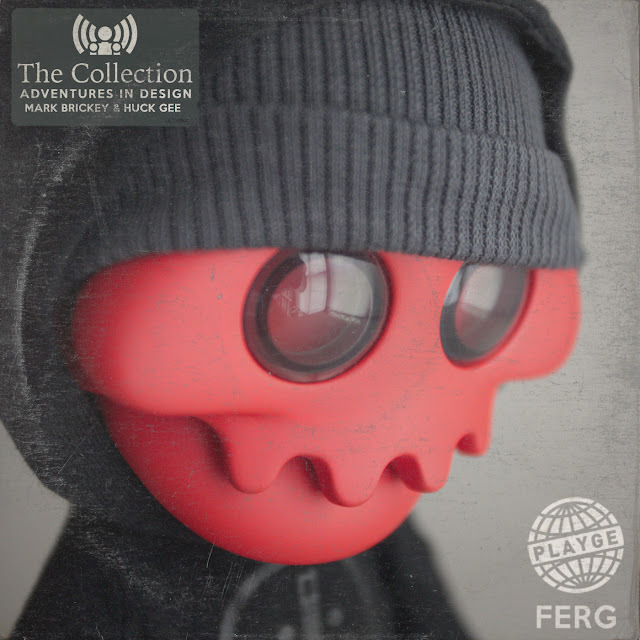 Ferg spearheaded the DIY designer toy game and has always taken matters into his own hands from his very first toy all the way to present day where he created Playge and developed the multiple toy lines within it. Once the bubble popped, many designers fell to the wayside while Ferg saw an uptick in his bottom line since his production and distribution means were always something he controlled. Ferg's story is one of self reliance, unbridled creativity and doing what you love on your own terms. Huck returns from his homeland and ToyCon UK energized and ready to go. The popularity around social media and how it ties into your creativity and ego. How The Collection is bringing down the curtain on the toy industry, where its going and who will be players in it. The similarities between all creative markets and learning from the successes and failures of each. TSA and the 80lb. duffel bag and Mark's Blood Sugar Vest. The evolution of the blank and its variations. Strategizing on who you want to work with in your industry. The return to Gold Life. Finding a scale where characters remain true to size. Determining price points based off exposure and production in America. Doing the new school model back in the old school days and how to avoid losing control of your product. Moving away form cutesy designer toys. Ferg's entry point into the world of toys. Making clothes for very small things. Making a living selling direct to consumers. Unrealistic standards for selling out a product. Readjusting your ego and predicting the end of hype. Assembly as a Build A Bear for Squadt. Inventing the Third Eye and using visual tricks that engage your audience. Drawing inspiration from the illustration techniques of the skateboard industry. The Artifact is a resin cast piece by Wetworks, based on the worn and damaged helmet seen in the latest Star Wars movie. 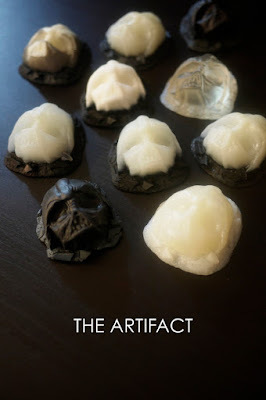 With 9 pieces cast, each one are truly unique, due to the materials and processes used for casting. Measuring around 2.3x2.5" each, some pieces do GID (#GIDGATE), while others are purely colored. Priced at only $30 a piece, plus shipping, this sale is limited to 1 piece per person. 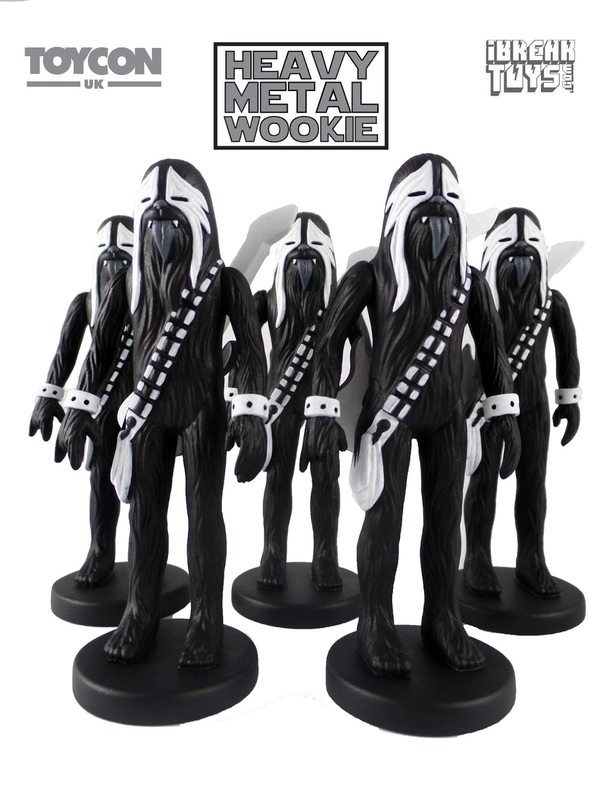 Releasing at 9AM PDT on the Wetworks online store, collectors are most likely going to have to have a plan of attack for picking up a few of the May the 4th releases. 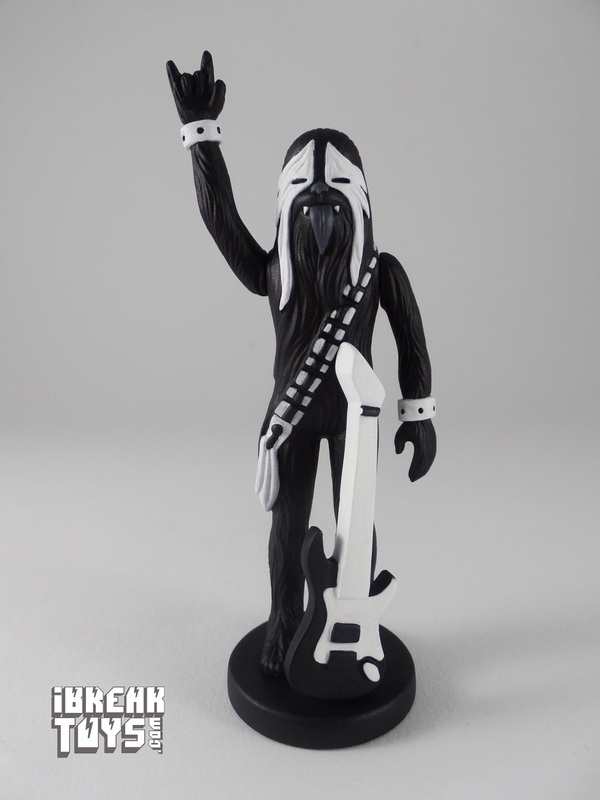 Resin slinger 2BitHack continues to create wonderfully executed bootlegs from the Star Wars universe, this time mashing Star Wars and Hip Hop. REN-DMC features a set of 3 separate figures, created in resin and packaged in card backed blister packaging. 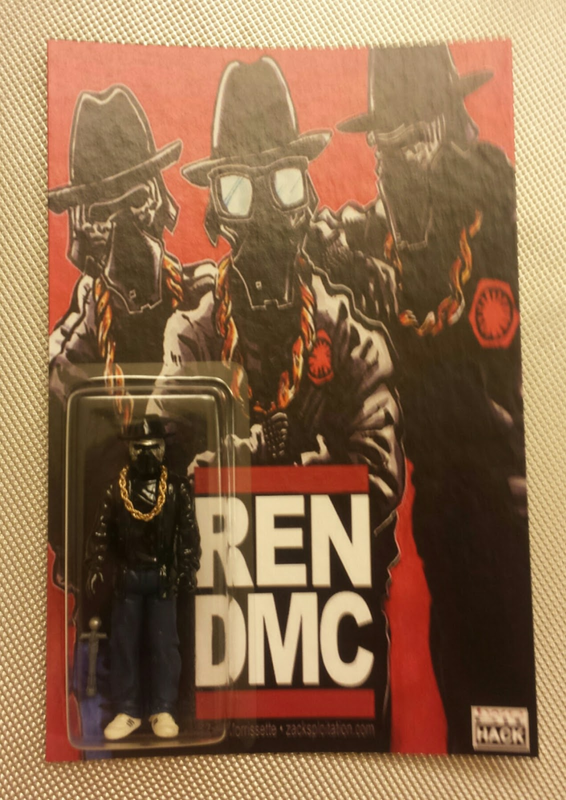 Each figure comes with a different accessory but features the same overall theme. 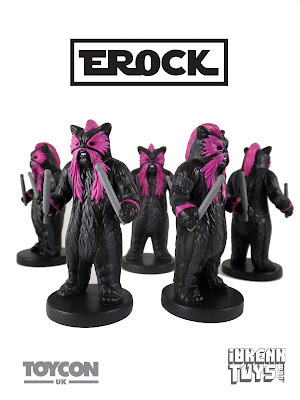 With only 3 total figures and the success of 2BitHacks previous releases, these are sure to sellout quickly. These will be available at 12PM PST. Priced at $45 each plus shipping, grab these quick before eBay does. May the 4th be with you all. Back in 2014, Arik Ehle of Wild Westside, participated in "Project Legion", a group art show put on by Disney and Lucas Films. 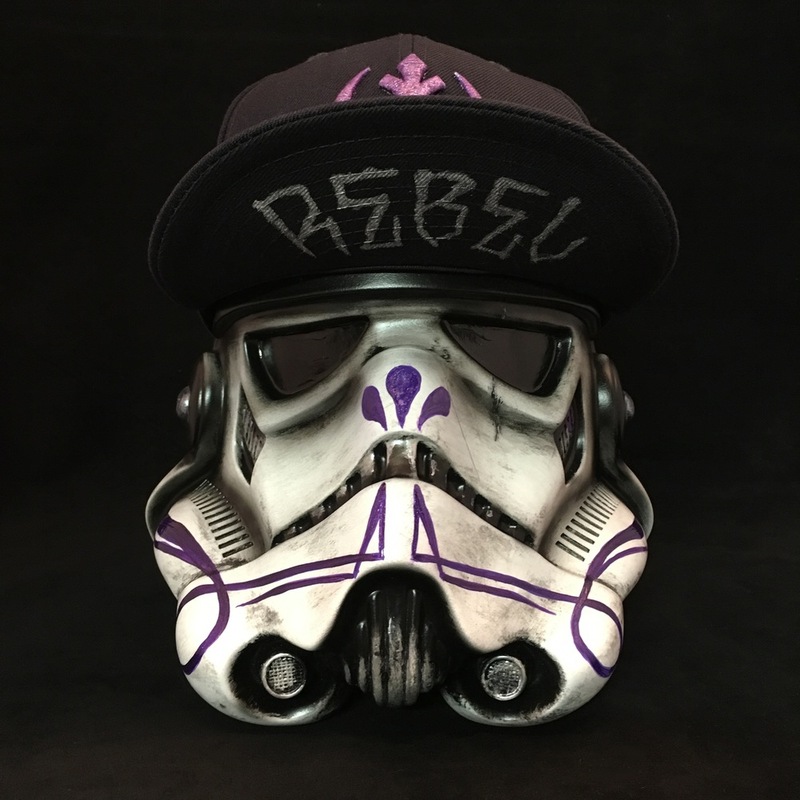 Featuring customized 6" Storm Trooper helmets, Arik's creation ended up being posted recently by the official Star Wars Instagram page and received a lot of great feedback. With all of the great responses, Arik decided to create a super limited run of Rebel Troopers, using almost Full Size Stormtrooper helmets and New Era Hats. 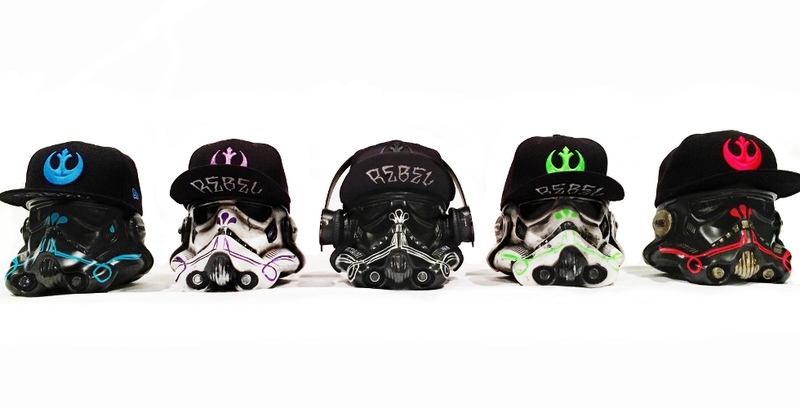 Releasing on May 4th, each Rebel Trooper sculpture is priced at $225 plus shipping, with only four of the five pieces being made available. The fifth piece, the Silver and Black variant is going to be a part of a Sol Republic Headphones giveaway, thus featuring some Sol Republic Headphones. No word on a time for release, but follow Arik on social media as Arik will be sure to have a release announcement. 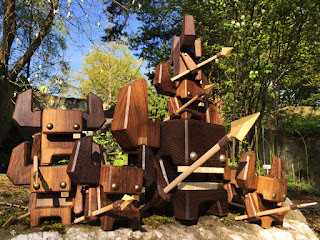 What happens when a Sofubi Stroll meets a Faux Taxidermist? 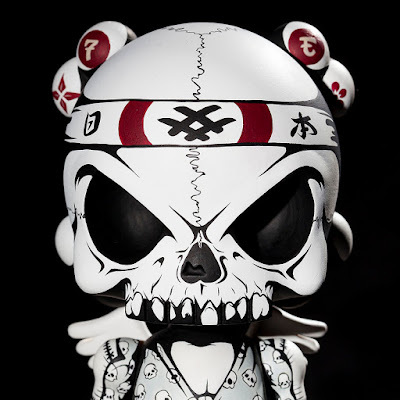 An awesome custom by Arik Ehle, Wild Westside. 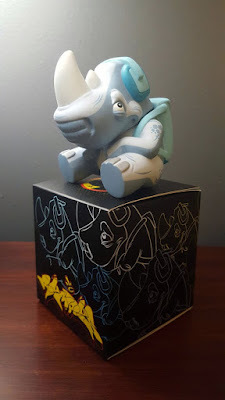 Created using a variety of materials, the Spanky Stokes Sofubi Stroll transformed into a realistic looking creature at the hands of Arik. Available now through Wild Westside, this custom Stroll is priced at $250 plus shipping. Be sure to follow Arik and Wild Westside through social media to keep up with all of his latest creations as we all move further into 2016. May 4th has been dubbed Star Wars day by the world, for sounding similar to the famous words "May the Force..". 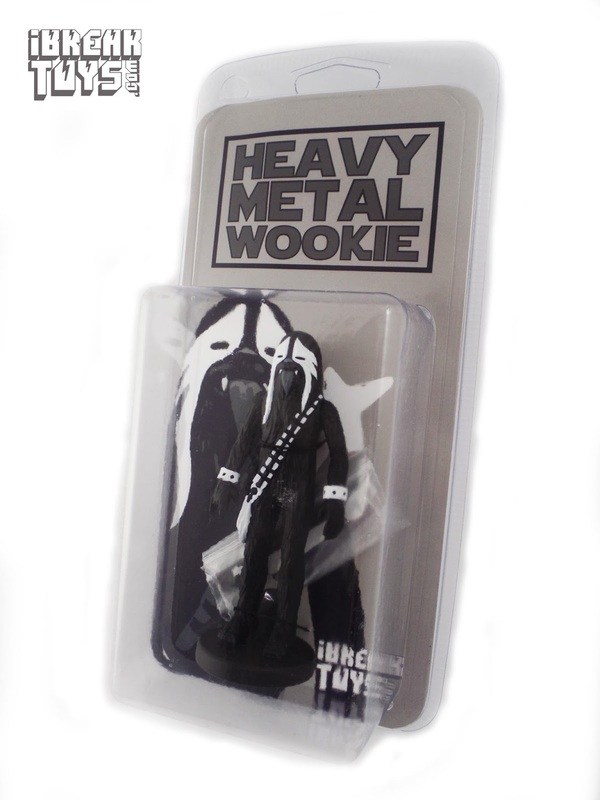 Now, on May 4th, Star Wars themed toys, clothing and collectibles flood the internet in celebration. Artist Lisa Rae Hansen, I Break Toys, recently created some Heavy Metal inspired resin figures called Erock and the Heavy Metal Wookie. Initially released at TOYCON UK, the remaining batch of figures are going to be made available for preorder on May 4th, 6PM BST. 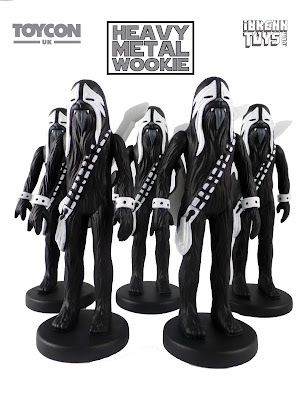 Each figure is based on an original Kenner toy, cast in resin and hand painted by Lisa. 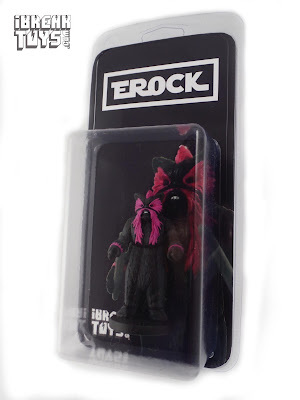 Packaged in a non-sealed blister pack, each figure is signed and numbered. 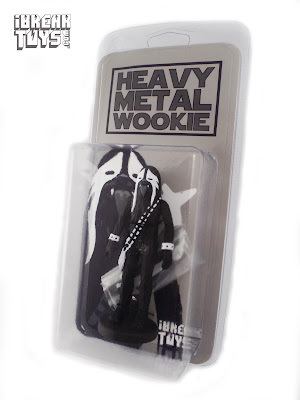 Erock has removable drumsticks, while the "Wookie" has articulated arms(thanks to magnets) and a removable guitar. 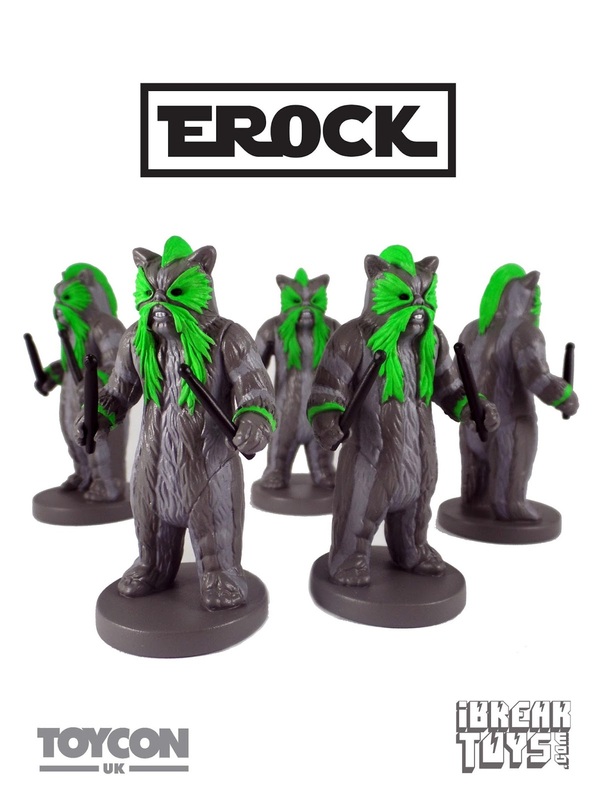 Available through the I Break Toys online store, Erocks are priced at £30 and the Wookies are £40 each. 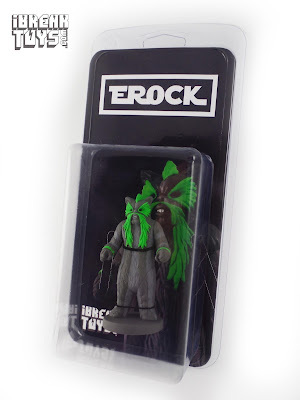 With the edition of each figure being limited to just 10 pieces, this May 4th preorder will have only 5 of each figure available, since the first half was sold during TOYCON UK. Be sure to follow Lisa on social media and keep up with all Lisa's custom creations through I Break Toys. The 6 inch PAKKA's are crafted out of finest smoked oak wood. For hunting each one holds a beech spear with a shiny brass spearhead fixed with a natural leather ribbon. The arms are articulated and each PAKKA has a small brass tooth. The eyes are made out of galvanized steel. The huge King POKKA is 12 inch tall & weighs a hefty 5 pounds!! He features two additional rows of maple teeth, one massive brass eyetooth and his horns are decorated by multiple solid brass jewelry. These figures have a natural semi gloss bees wax finish. Each piece is signed and numbered by the artist (iron branded/embossed). This will be on sale soon at the Pepe Hiller online store. 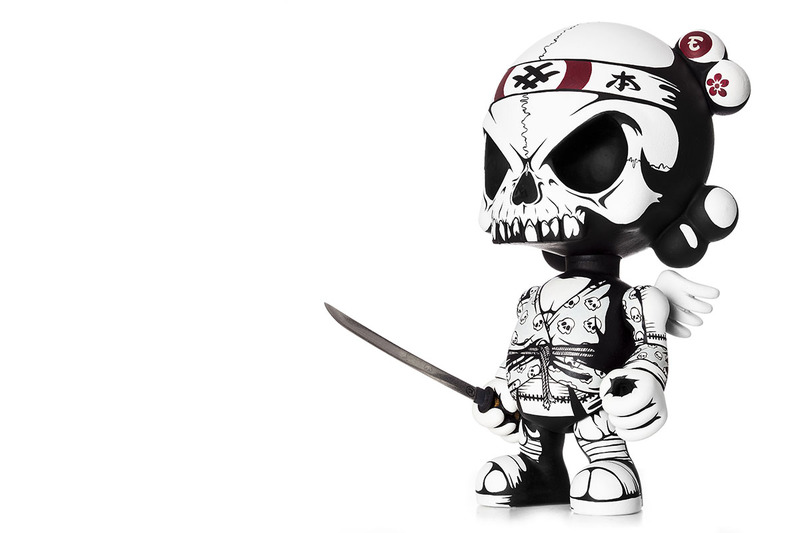 From Game of Thrones, Unsullied, as a stylized POP vinyl from Funko! Figure stands 3 3/4 inches and comes in a window display box. Check out the other Game of Thrones figures from Funko! Collect them all! 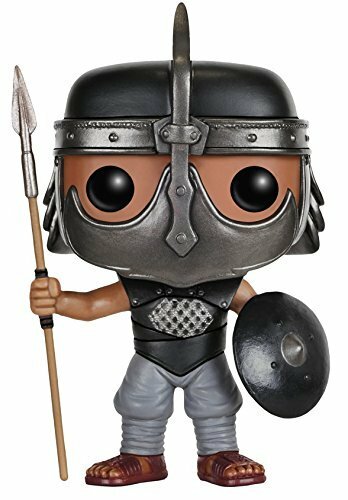 Order Funko Game of Thrones - Unsullied today! Chibi Godzilla has been custom molded and cast in resin. SoKo Cat has hand-painted the completed pull, with high-quality acrylics and washes, to produce a unique, original-colorway itty bitty kaiju! With yellow, glazed eyes and painted fangs, the detail on this piece is remarkable, given it is only 7/8 inches tall! 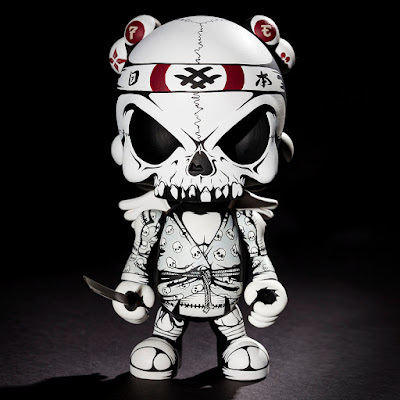 10 custom Chibi Godzillas are available! 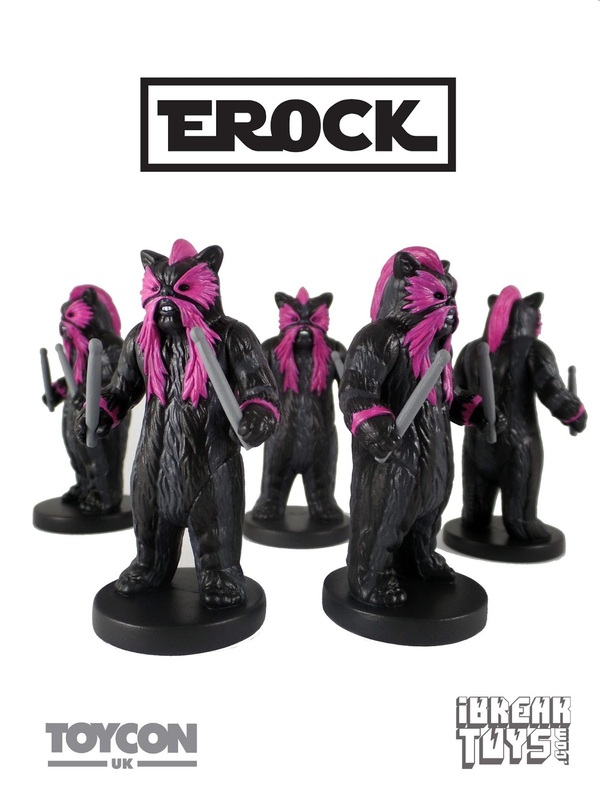 They will be available for purchase from SoKo Cat's online store, dropping Monday, May 2, 2016! Be sure to keep an eye out for these adorable but still fierce monsters, as they will surely sell out quickly! Josh Mayhem presents "The Pegasus Gundam" - A custom Horselington commissioned by a private collector. 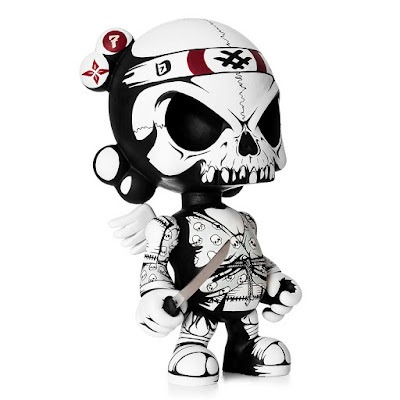 Featuring adjustable wings, upper legs, and an opening torso revealing the heavily armored pilot of this mystical death machine.